A sturdy 800cc (51 hp) or 976cc (75 hp) Rotax V-Twin engine provides ample performance for recreational endeavors. The large air intake, positioned high in the chassis, along with on oversized radiator and Donaldson airbox provide the engines with an abundance of clean, cool air for optimal performance. The engine is mated to a CVT-type transmission with Quick Response System (QRS) complete with appropriately configured P/R/N/H/L ratios. The CVT also features Electronic Belt Protection and Hill Descent Control for optimal trail efficiency. The durable, gear-on-gear rear differential and helical gear transmission ensure quietness. The Maverick Trail DPS vehicles include a selectable 2WD / 4WD with Visco-Lok† QE auto-locking front differential and lockable rear differential. The system offers a 4-mode traction system (2×4 open rear / 2×4 lockable rear / 4×4 open / 4×4 locked rear for maximum traction. All Maverick Trail DPS models have Visco-Lok Quick Engagement (QE), Dynamic Power Steering and selectable Sport and ECO modes for more precise control on the trail. A class-leading 90.6-in. (230.1 cm) wheelbase allows for a more spacious cockpit, enhance ergonomics as well as improved ride qualities. 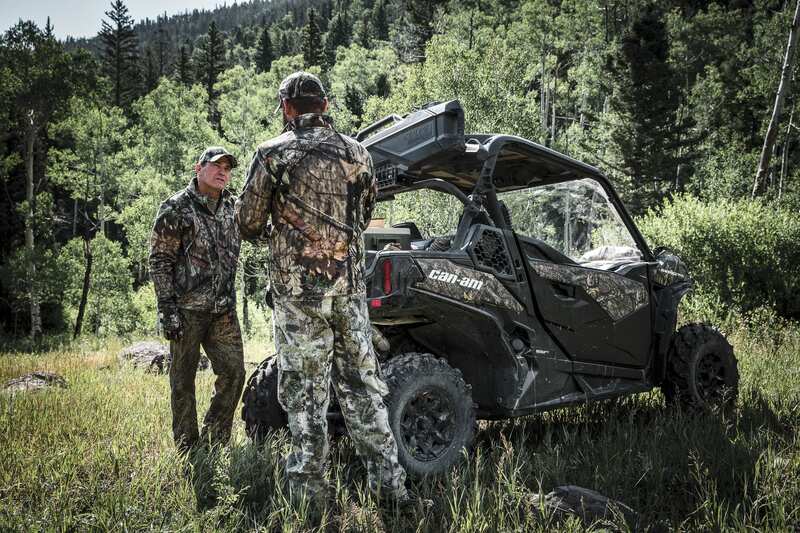 Low seating combined with an optimal weight distribution means the Maverick Trail side-by-side vehicles offer predictable handling and ample ground clearance for more technical terrain. A state-of-the-art suspension, complete with a Double A-Arm front suspension, TTA-T rear suspension and Sachs twin tube gas-charged shocks is designed to enhance the vehicle’s capabilities without comprising comfort and handling. 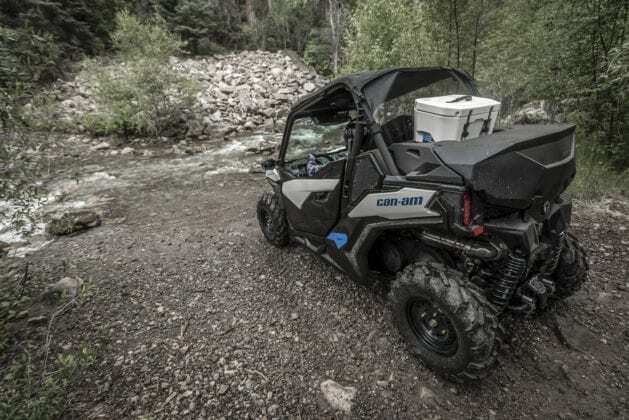 The Maverick Trail side-by-side vehicles cater to trail riders with copious amounts of onboard storage and functionality for toting gear. 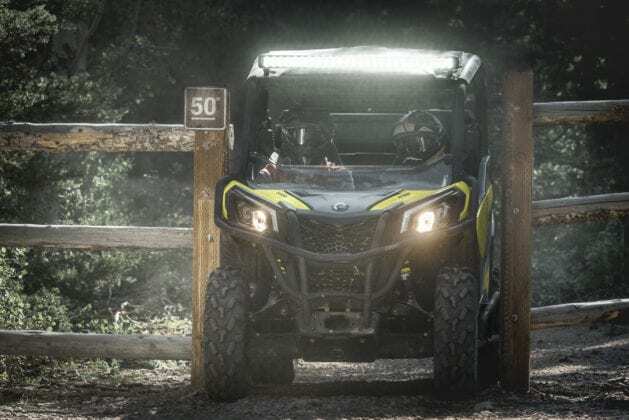 A large tow rating and class-leading fuel tank ensures the Maverick Trails is ready for day of riding or a weekend of play. 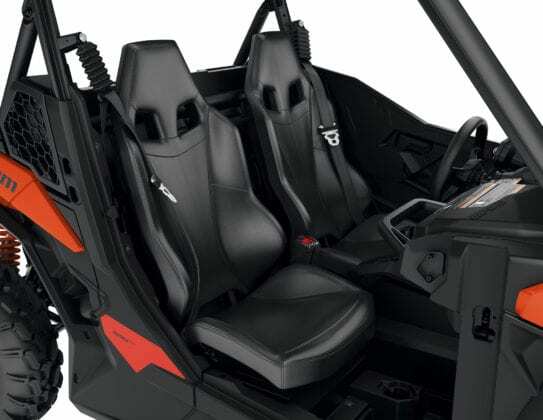 A spacious, well-planned cockpit with low-stance ERGOPRINT seats, along with half doors (on DPS models only), the Maverick Trail totally encapsulates its occupants and makes them feel at one with the vehicle. Onboard conveniences, integrated ergonomic improvements, added protection and driver’s side adjustability enhance the off-road driving experience. The Can-Am Maverick Trail family of side-by-side vehicles comes well equipped (starting at $10,999 USD / $13,299 CAD) from the factory, but with more than 100 Can-Am accessories, owners can customize it to match their personality and needs. An unrivaled appearance — complete with Can-Am Maverick X3 styling hints and signature Can-Am DNA details — is sure to please new buyers and onlookers alike. 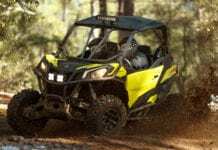 A durable lightweight chassis, reduced maintenance requirements and a DIY maintenance friendly design give the Maverick Trail a leg up on trails and the competition. Heart. Hustle. Skill. The Maverick Trail side-by-side vehicle is built to outperform the competition and do so with unmatched blend of core strength, absolute agility and responsive control. 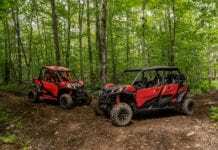 Two Rotax V-Twin engines supply the new Maverick Trail vehicles enough muscularity to conquer different trails at varying speeds. Delivering predictable handling with little noticeable effort required from the driver speaks to the built-in nimbleness. We reward the driver and passenger with exceptional control, outstanding comfort and unrivaled on-trail capabilities, so they can remain focused on their escape from the mundane. 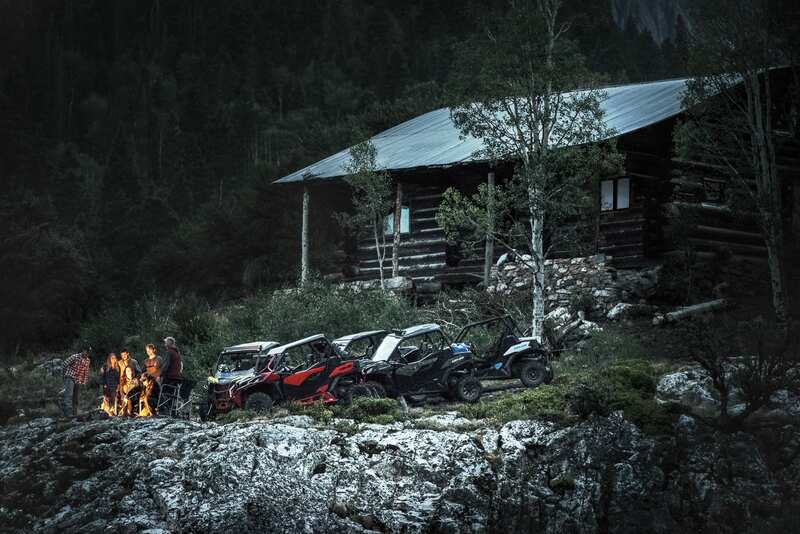 Can-Am just made getting from point A to point B far more thrilling. Two impressive Rotax V-Twin engines provide the Maverick Trail family with class-leading torque. The Maverick Trail 1000 vehicles are equipped with a strong 75 hp 976cc Rotax V-Twin for additional performance. A very capable 51hp 800cc Rotax V-Twin powers the Maverick Trail 800 family. 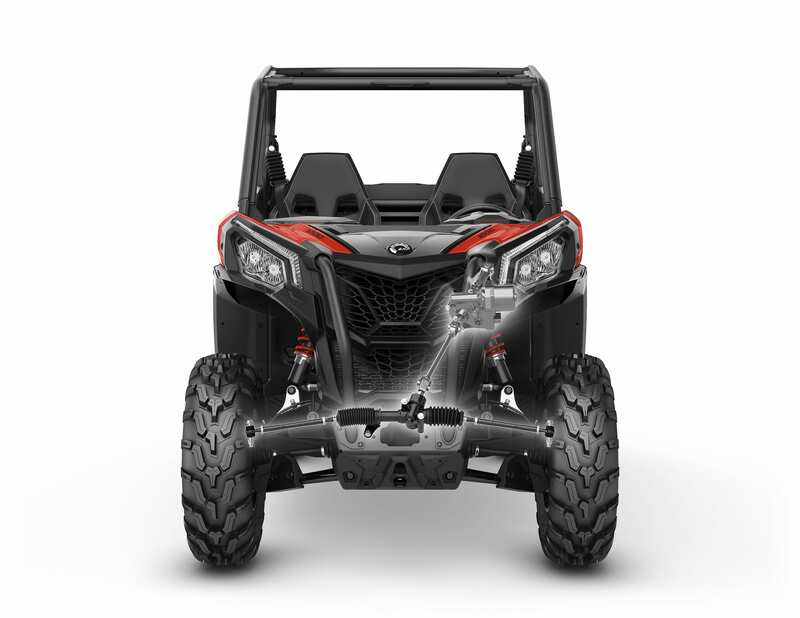 The engines, optimized for trail riding, are placed in the rear of the chassis to produce a quiet, cool ride for the occupants. Along with reduced vibration, each power plant includes engine braking for enhanced control on the trail. A large radiator keeps the Maverick Trail side-by-side vehicles running at optimal temperatures even in the most challenging terrain. 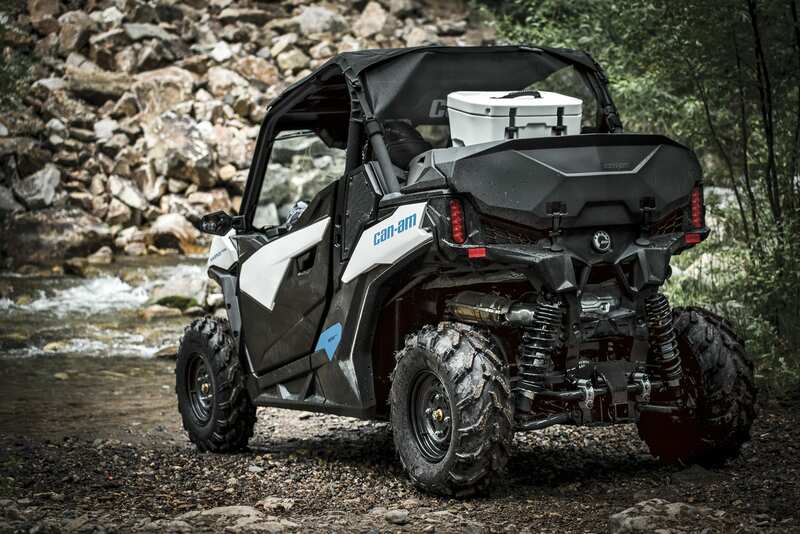 The Maverick Trail vehicles were outfitted with a proven Donaldson airbox to ensure the Rotax mills are continuously receiving the maximum amount of cool and clean air. 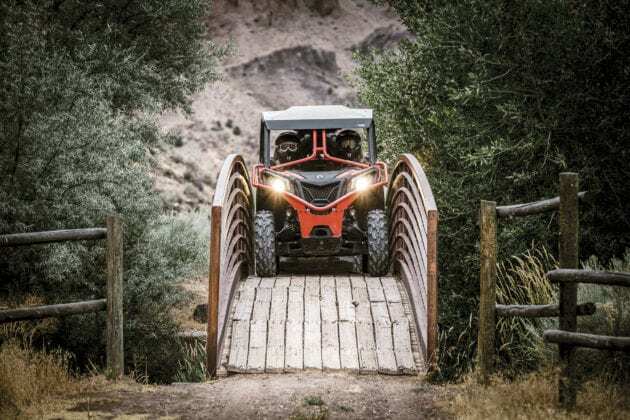 We paired the sturdy engines with a stout transmission to ensure unmatched dependability and toughness when the Maverick Trail vehicles take to challenging trails or dabble with the chores. The CVT with Quick Response System T (QRS-T) is designed to provide smooth, precise power delivery as well as predictable deceleration with the built-in Hill Descent Control. 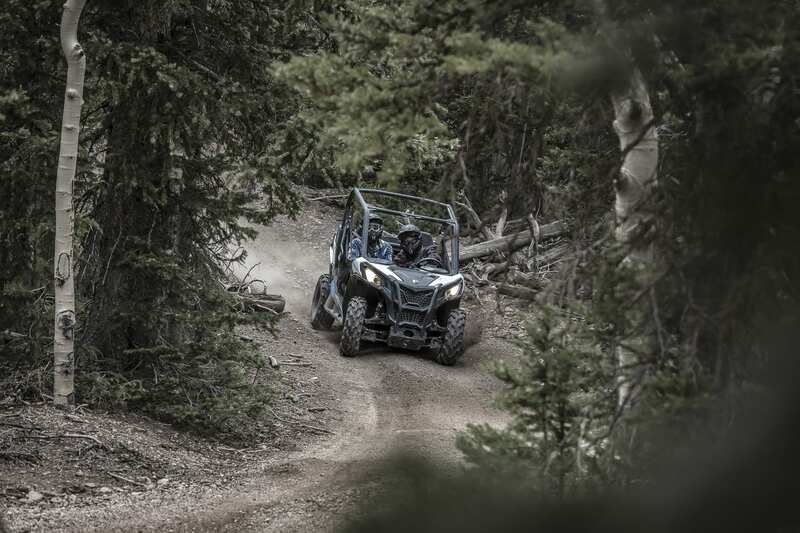 The CVT was outfitted with appropriate ratios to deliver optimal torque for the Maverick trail family and include gear selections for P / R / N / H / L. The system includes integrated electronic belt protection for reassurance out in the sticks. The gear-on-gear rear differential means increased responsiveness and less required maintenance. The Helical gear transmission, combined with the CVT rearward location ensures a quieter environment for the occupants. 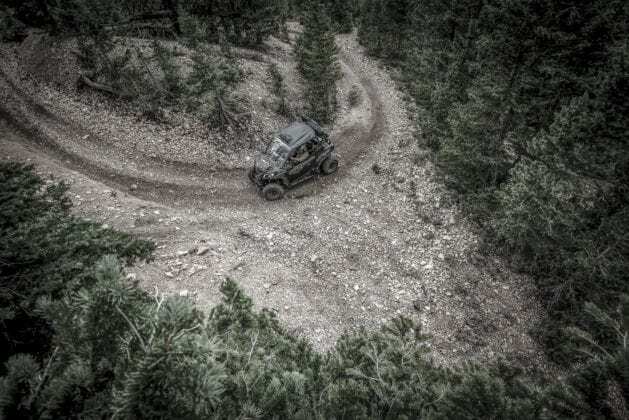 The Maverick Trail DPS vehicles include a selectable 2WD / 4WD with Visco-Lok† QE auto-locking front differential and lockable rear differential. The Visco-Lok QE front differential combined with the lockable rear differential offer a 4-mode traction system providing multiple choices for varying terrain or tasks. Users, via a separate front-and-rear toggle switches, can select between a 2×4 open rear differential for tight turning and turf protection, a 2×4 lockable rear for improved 2WD traction, a 4×4 open rear for more maneuverability in rugged terrain and a 4×4 locked rear for maximum traction. The rear differential is gear-on-gear to the transmission for better response, no maintenance, better efficiency and fewer components. 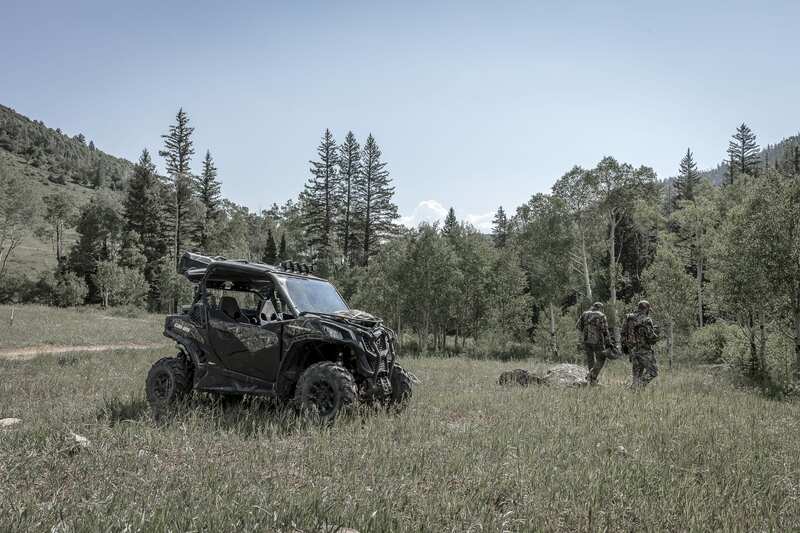 The base Maverick Trail vehicles come standard with a Selectable 2WD / 4WD with Visco-Lok auto-locking front differential. 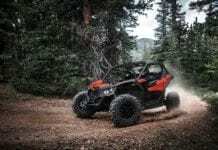 All the Maverick Trail DPS models include the single-mode Dynamic Power Steering (DPS) system that is tuned for both low- and higher-speed trail riding. The integrated DPS improves steering feel in slow-speed situations. The system intelligently and automatically offers less assistance at higher speeds and more assistance in technical terrain at low speeds. 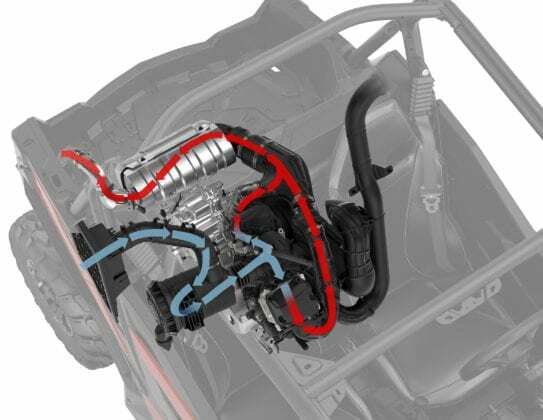 The maintenance-free, throttle-by-wire system (iTC) teams with a large volume throttle body to produce smooth throttle delivery even if the driver’s foot is bouncing due to the terrain. 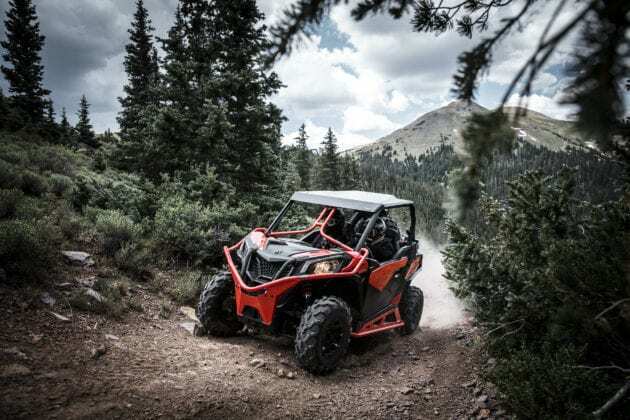 The Maverick Trail DPS side-by-side vehicles have a selectable Sport mode, which offers a fast throttle response for quicker trail driving, and ECO mode for a smoother ride with a more filtered power delivery. 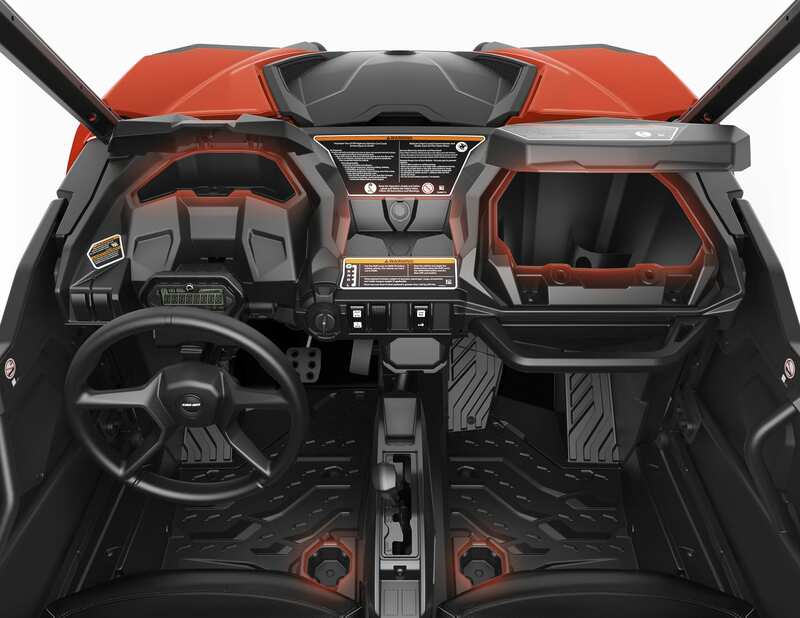 The Maverick Trail base package includes a single driving mode. Dual 220 mm ventilated disc brakes with hydraulic twin-piston calipers, front and rear, ensure the Maverick Trail has ample stopping performance for both recreation and chores. Durable 6-ply, 26-in. Carlisle ACT HD Radial tires provide heavy-duty durability, while maintaining versatile traction, a smooth ride and great shock absorption for trail use. 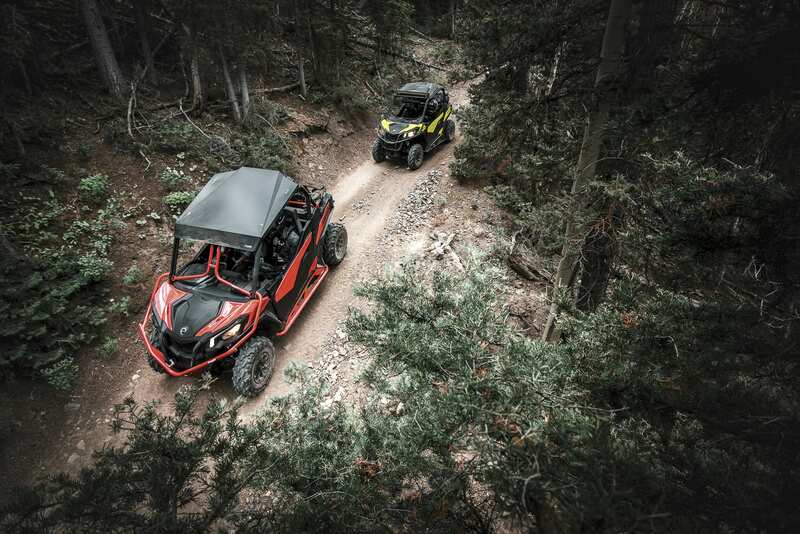 The Maverick Trail DPS side-by-side vehicles have 12-in. (30.5 cm) black aluminum wheels. The base Maverick Trail vehicles include 12-in. black steel wheels. With its long 90.6-in. 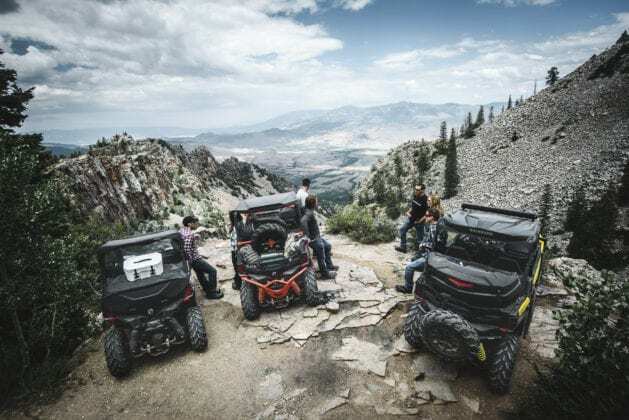 wheelbase, despite its narrower width, the Maverick Trail vehicles provide superior stability, improved ergonomics and more comfort vs. the competition. That’s a full 11.6-in. (29.5 cm) longer wheelbase than its closest competitor. The added length also produced less forward and rearward pitch, resulting in a smoother ride. Can-Am engineers, through rigorous testing methods, determined the optimal front-to-rear vehicle weight distribution is 42% / 58%. This setup, factoring in the rear-mounted engine and occupants at the center of the chassis, produced the most predictable handling, comfort and control while also contributing the vehicle’s overall stability. However, a very favorable 10-in. (25.4 cm) of ground clearance comes standard and assists with navigating more challenging terrain. 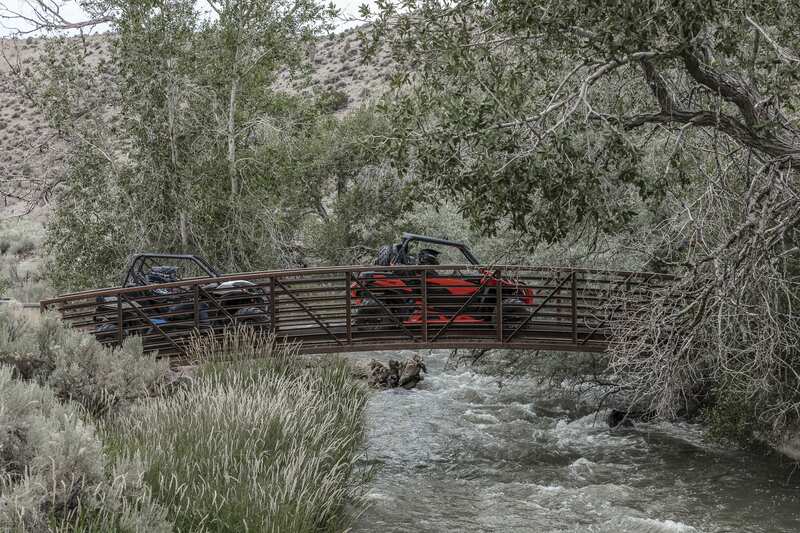 A trail-designed Torsional Trailing A-arm-Terrain (TTA-T) rear suspension was engineered to optimize both squat force and suspension calibration. The suspension equally and effectively supplies performance, durability and comfort. The system incorporates strategic mounting points and shock angles to produce ideal motion ratios on the trail and also to reduce the amount of steering effort required by the driver. The rear suspension provides 10.5-in. (26.7 cm) of travel and wears Sachs twin tube gas-charged shocks to deliver considerable trail comfort, whether it’s a slower crawl or recreational ride at trail speeds. The shocks include a dual-rate spring (1-comfort / 2-bottoming control) as well as a hydraulic rebound bump stop. The rear shock location also allows for easy access to the powerpack. The front double A-arm suspension with dual-rate Sachs twin tube gas-charged shocks virtually eliminates bump steer and camber changes while supplying an ample 10-in. (25.4 cm) of suspension travel for a comfortable and controlled ride. The shocks feature a large-bore (36 mm), sizeable rod (15 mm) and hug 57.1 mm body for optimal trail performance, dependability and comfort. When “adventure” is your middle name, you’d better be able to deliver thrilling rides in a wide variety of environments and do so in comfort and style. 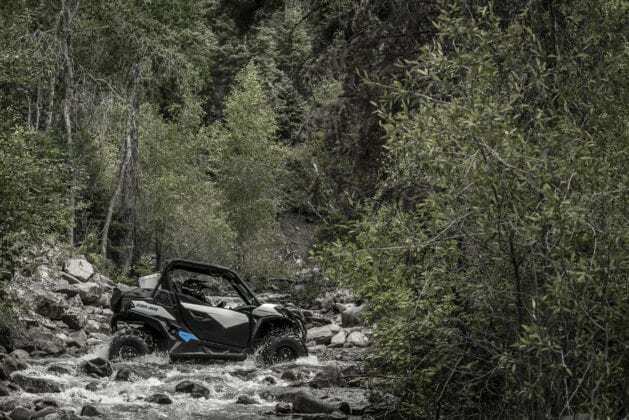 The Maverick Trail side-by-side vehicles, designed to be versatile and functionally resourceful, can help off-road trail enthusiasts experience life’s biggest highpoints. Journeys become more profound when dedicated owners can invest in their vehicle to enhance their experience. 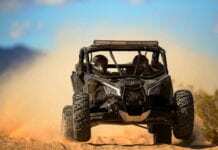 Can-Am offers one of the most extensive factory-driven accessory collections. For us, it’s about you and your love of off-road exploration. Class-leading storage capacity of 5.3-Gal. 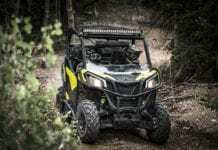 The Maverick Trail family brings new levels of innovation with its integrated storage and segment-altering cab layout. Onboard storage is essential to any side-by-side vehicle meant for OHV exploration and adventure and the Can-Am Maverick Trail is appropriately equipped with 5.3-Gal. of onboard storage for added convenience, comfort and functionality. This includes a glove box and two additional areas on the vehicle’s dash. The high-grade multi-function cargo box, made from heavy-duty HMW (high-molecular weight) polyethylene, includes 8 LinQ quick-attach locations, four anchor hooks and integrated drain holes for added convenience and versatility. Not only that, the cargo box is rated to carry up to 300-lbs. (136 kg), allowing owners to use their Maverick Trail vehicle for light chores and exploration. 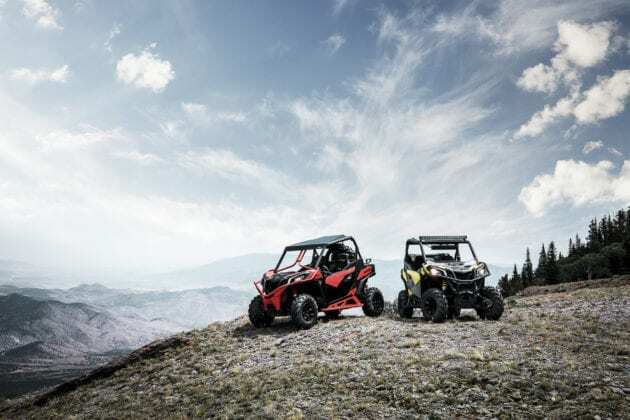 We outfitted the Maverick Trail family of side-by-side vehicles with the heart of a champion and then matched the proven Rotax performance with a durable drivetrain, resilient transmission with additional torque so towing wouldn’t be an issue. The Maverick Trail family can tow up to 1,500-lbs. (600 kg) with its 2-in. hitch receiver. A dash-mounted lighter type DC outlet comes standard and comes in handy for charging phones and running other electronics you may need for venturing out into the great beyond. A large, class-leading 10-Gal. (38L) fuel tank reassures drivers that they can focus more on riding and less on refueling. We outfitted the cockpit with high-quality sport car-like seats for optimal support and weight distribution. The ERGOPRINT seats provide excellent comfort and bump absorption. Each Maverick Trail DPS vehicle has been enhanced with gray stitching for a refined look. 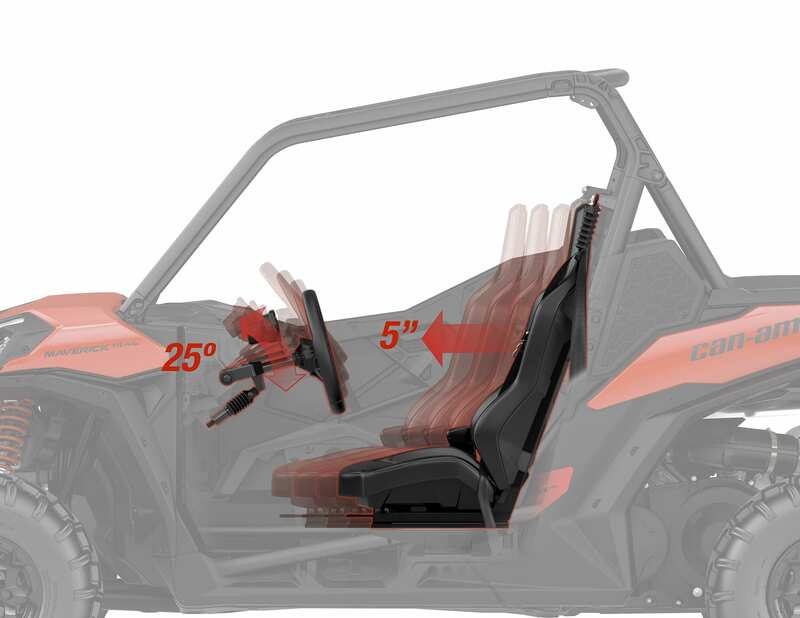 For added convenience and to enhance comfort the Maverick Trail side-by-side vehicle’s driver seat is adjustable, so the operator can fine-tune the fit. The seat adjusts both 5-in. / 12.7 cm (front and rear) to adapt to drivers of all sizes. The driver and passenger seats feature removable seat cushions and backrests to simplify cleaning after long off-road adventures. When removed, the passenger seat also features 2x LinQ quick-attach locations for added convenience and versatility. Much like the Maverick X3 family of side-by-side vehicles, the Maverick Trail side-by-side vehicle’s seats were built with the riders in mind. In fact, the seats are designed to encapsulate the driver and passenger, further connecting them with the vehicle. With up to 25 degrees of adjustment, the adjustable tilt steering wheel, combined with the adjustable driver’s seat helps the operator customize the Maverick Trail side-by-side vehicle to their driving style and size. The vehicle’s gauge is even fixed on the steering column to maintain excellent visibility even when the steering wheel is adjusted. To help the passenger feel as one with the vehicle, we’ve added two ergonomically designed and positioned grab bars. The first grab bar is directly in front of the passenger seat below the glove box. The second grab bar is on the right side on the inside of the passenger door (Maverick Trail 1000 vehicles only). Two optimally positioned footrests for passenger and one angled footrest on the driver’s side of the Maverick Trail vehicle supplies enhanced comfort and footing for navigating off-road trails. With the end user in mind, our team spent countless hours designing the cab and interior space so all the controls, switches and storage compartments are easy to reach and in an optimal location for the driver and passenger. Taking comfort to new heights, our engineering and design teams spent additional time crafting a spacious cockpit to accommodate 95 percent of adult males out there. We took zero shortcuts because we wanted to change the paradigm that a narrower vehicle has interior space limitations. 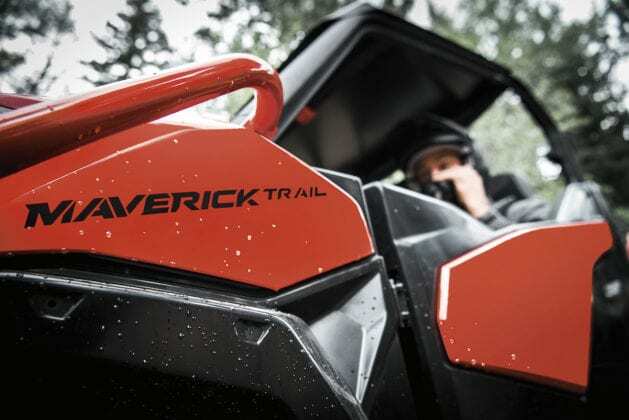 The Maverick Trail vehicles offer 2-in. more leg room than their closest competitor, which means even taller drivers will enjoy the ride. The roomier cab was configured to comfortably accommodate two adult occupants without losing sacrificing the vehicle’s precise and nimble handling. 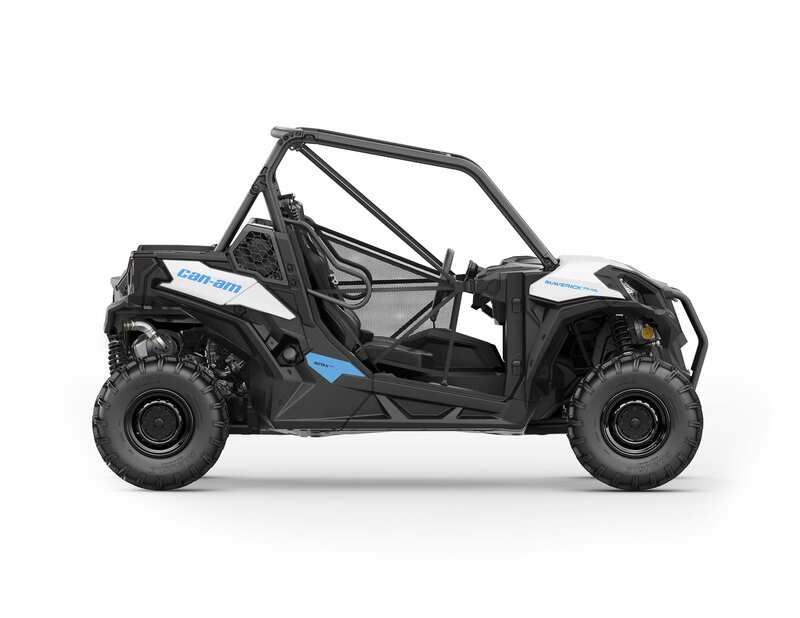 Respecting current automotive standards, Can-Am developed the chassis to reduce vibration. The vehicle was also engineered to allow air to flow in to the cab but exit with less resistance. The Maverick Trail vehicle’s cage was profiled to ensure proper integration with our line of Can-Am PAC accessories. 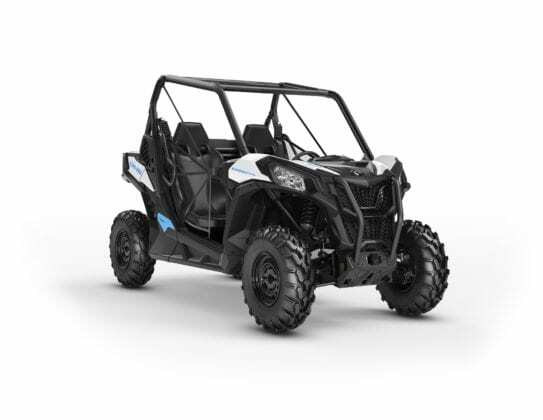 To ensure all the electronic needs of the owner are met, each Maverick Trail vehicle includes an integrated PAC-ready wiring harness mated to the onboard 650 W magneto. Sound systems, additional lighting and other electronic gadgets can all be added with ease. The Maverick Trail vehicles include standard 3-point seat belts for both the passenger and driver. However, knowing that owners enjoy customizing their vehicles and like the added security and comfort of a 4-point harness, we installed the brackets on the Maverick Trail at the Can-Am factory. 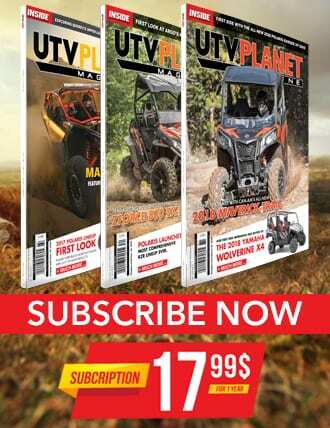 The Can-Am PAC accessory lineup continues to expand with each passing month and every new vehicle we launch. Our objective is to design superior accessories with nearly effortless installation, seamless integration and an unmatched fit. 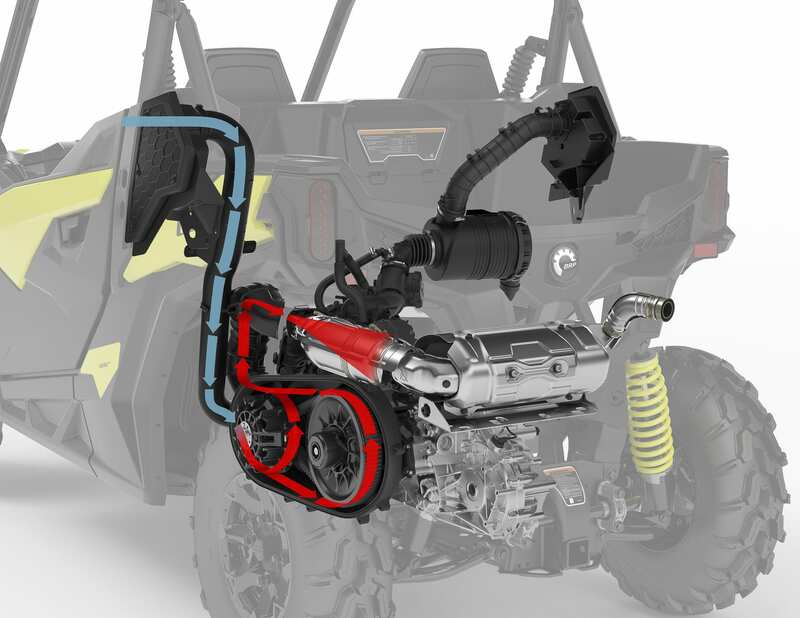 Every Can-Am accessory is designed during the vehicle creation process to ensure the best fit in the industry. 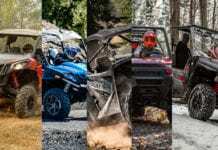 We also partner with some of the most recognizable aftermarket companies in the off-road industry to ensure our list of available accessories meets the varying demands of owners. 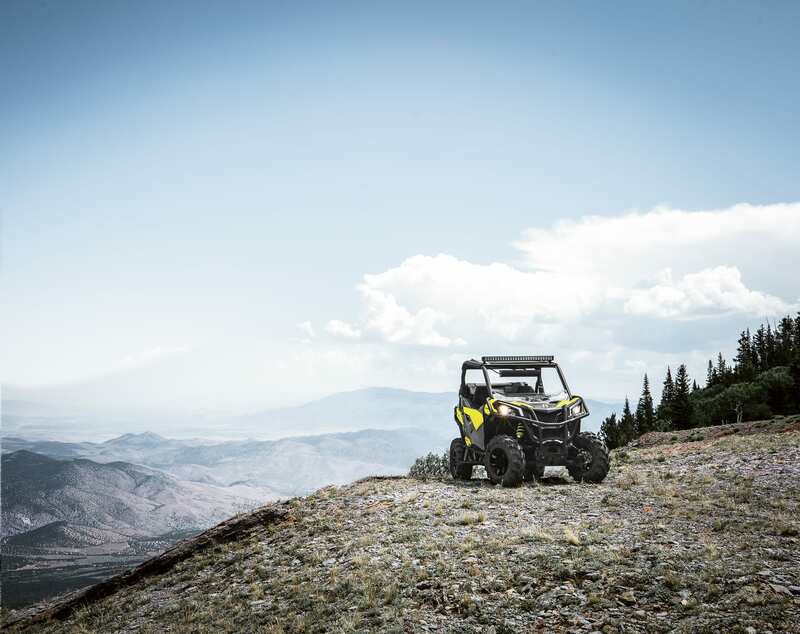 Finally, if that’s not enough, we include the industry’s best warranty on all Can-Am accessories for added peace of mind. Pretenders are forewarned! 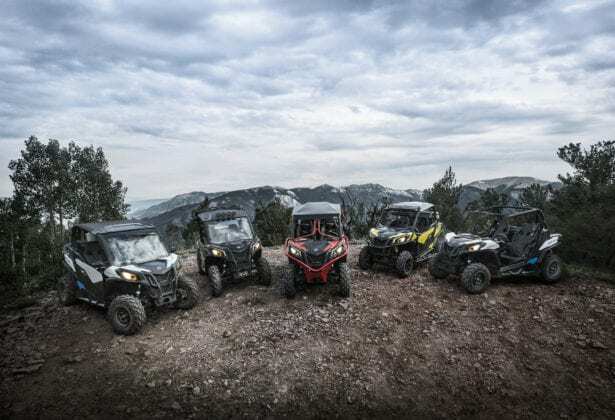 The Can-Am Maverick Trail side-by-side vehicles arrive with unmatched swagger and an outward toughness to thwart all competitors. With design influences from the Maverick X3 family and deeply engrained Can-Am DNA, the Maverick Trail vehicles are designed to meet the 50-inch Rec-Sport industry demands head on and do so with a functional fit-and-finish that only Can-Am can deliver. 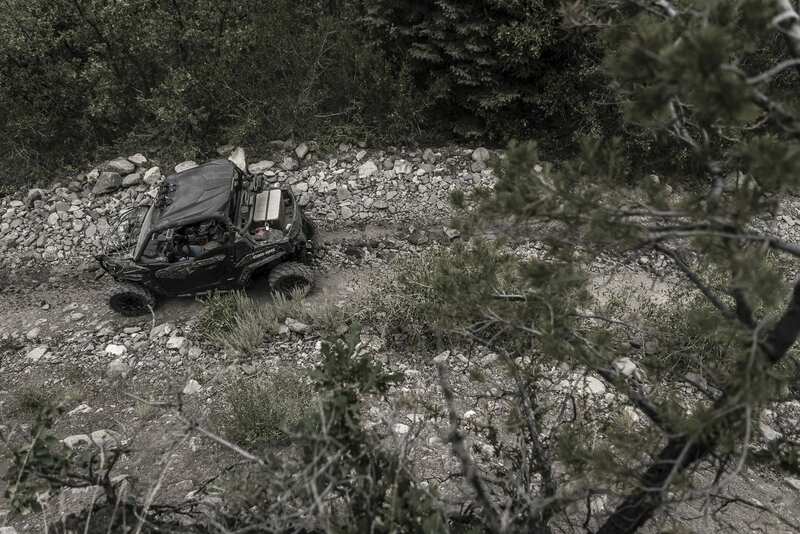 The Maverick Trail vehicles are factory-made for off-road expeditions, offering built-in protection for trail superiority. A do-it-yourself friendly makeup and reduced maintenance schedule means owners get to spend more time exploring and less time wrenching. 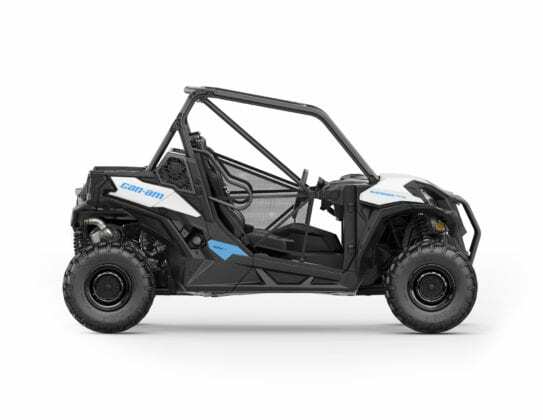 Can-Am continues to set the bar in terms of a vehicle’s fit and finish. The Maverick Trail has a superior fit and finish, inside and out, to distance itself from the competition and meet the strict demands of trail riders across the globe. Our research and development teams go the extra mile to ensure all Can-Am vehicles are refined with the end user in mind. Our design team deliberately gave the Maverick Trail its own unique appearance to ensure it would stand out in a crowded field, but also did not lose sight of its Maverick Family heritage. The front fascia and exterior of the newest Can-Am Maverick vehicle also retains some styling cues and a bold Maverick family design. 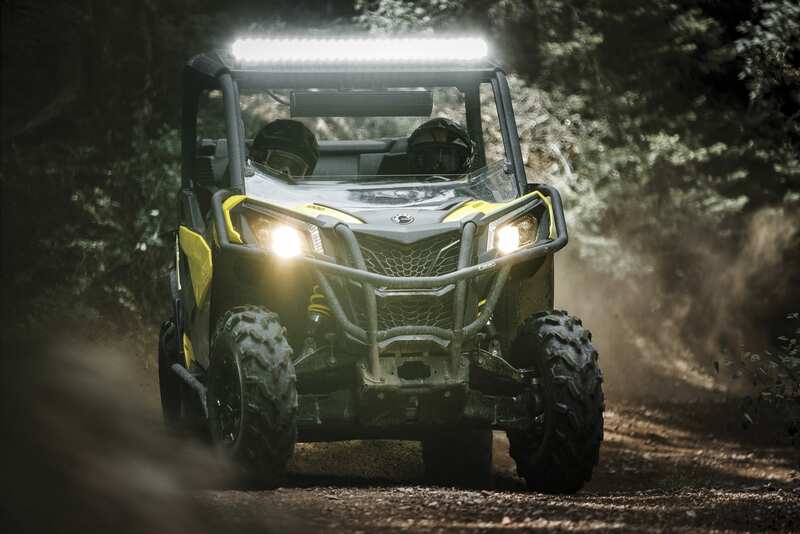 Key elements like hood shape, headlight angles, grille and other aggressive design lines instantly showcase Can-Am Maverick X3 vehicle DNA. 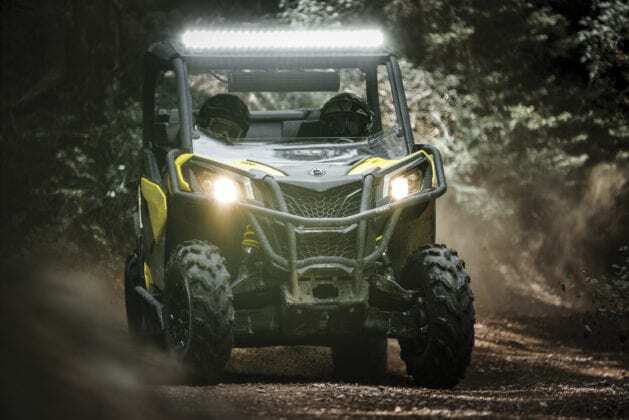 The Maverick Trail DPS vehicles include the Can-Am Signature LED front running lights (similar to the Maverick X3 family) to provide an identifiable appearance. Lighting is critical for long days on the trail and in low-light situations. Two powerful 55 W reflectors illuminate the trail for increased visibility even in the most dense of forests. And for when you’re out riding with your friends, high-grade LED taillights act as both a safety feature and indicator to trailing vehicles. The Maverick Trail DPS vehicles also include the highly recognizable Signature LED front running lights giving them added charisma. The Maverick Trail is available in four off-road worthy color schemes. A clean White plastic with touches of Octane Blue is the base color offering. 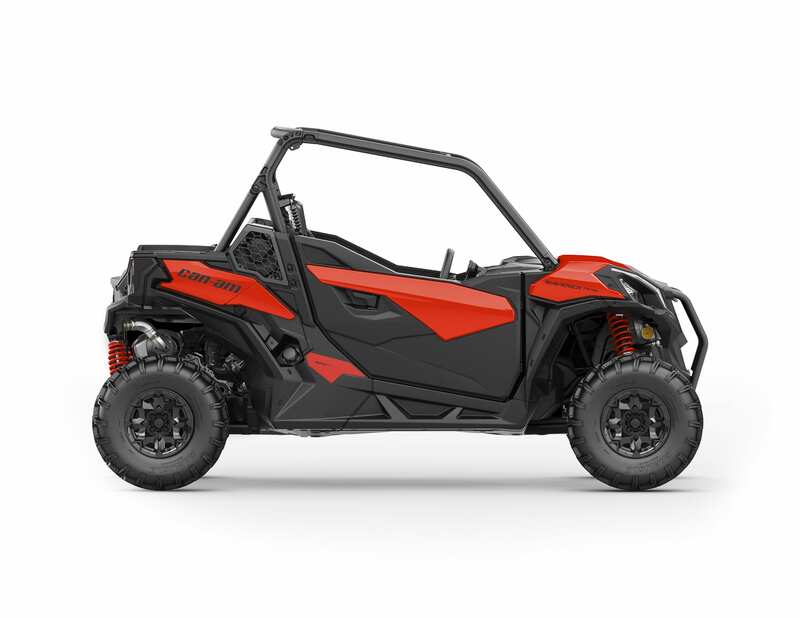 Two durable painted color options (Can-Am Red or Sunburst Yellow) are included with the Maverick Trail DPS package. Finally, for those outdoor adventurists who also happen to love to blend in to their environment on the trail or on their hunt, we added the tough, water-dipped Mossy Oak Break-Up Country Camo finish. 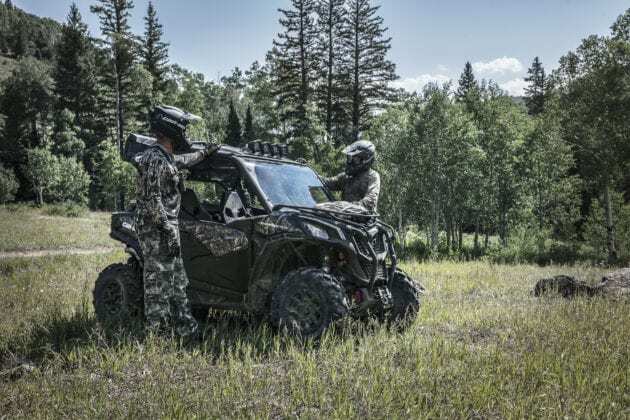 The Can-Am Maverick Trail side-by-side vehicles use an advanced ultra light, rigid chassis made of durable, lightweight Dual-Phase 980 steel and high-strength low alloy (HSLA) steel for enhanced strength and added torsional stiffness. 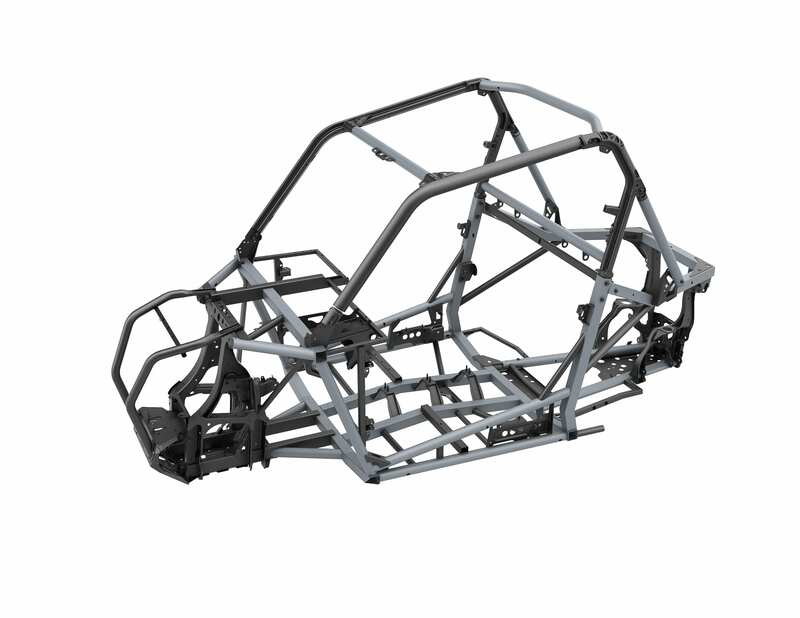 The vehicle’s robust cage is also made of Dual-Phase 980 steel, which is extremely light and rigid. The 1.85-in. 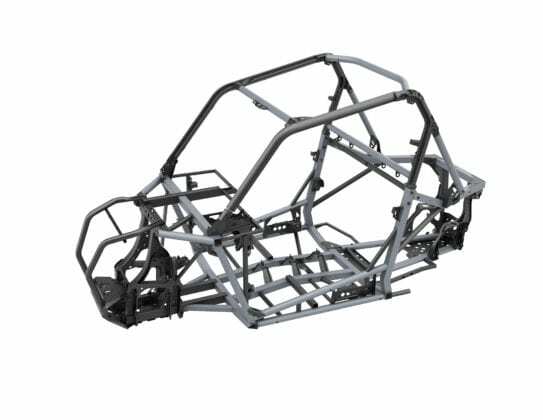 (4.7 cm) tubular cage is fully ROHVA compliant and creates a protective barrier around both driver and passenger. A stout-yet-stylish integrated front bumper provides added protection for the front end of the vehicle. 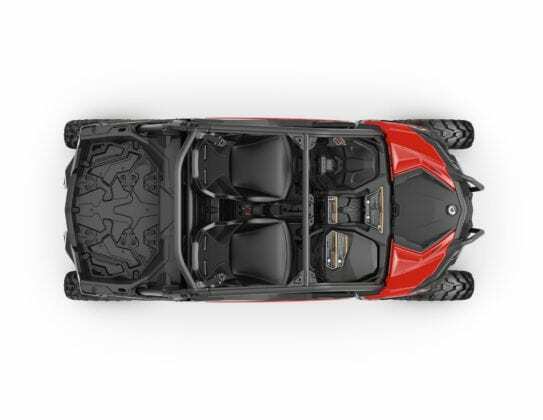 Injected, full-body skid plates keep the underside of the Maverick Trail vehicles well protected from the elements, while also allowing it to slide over certain mid-trail obstacles a driver may encounter. Found on the Maverick Trail 1000 and Maverick Trail DPS 1000 vehicles only, full HMW half doors create a more complete cockpit encapsulation and also deliver added protection from trail debris for both occupants. The doors also offer a seamless and stylish transition from the front to the rear of the vehicle and feature an outer handle for opening and an interior grab handle for use when riding. For the first 1,800 miles (3,000 km) the Maverick Trail side-by-side vehicles are designed to be maintenance free and no break-in maintenance is required. We did this so you can have more trail time and less time in the garage. We built the Maverick Trail vehicles with DIY friendly maintenance. We made sure the airbox, radiator, oil, CVT, engine, battery and other essential maintenance components were easy to reach for your added convenience. 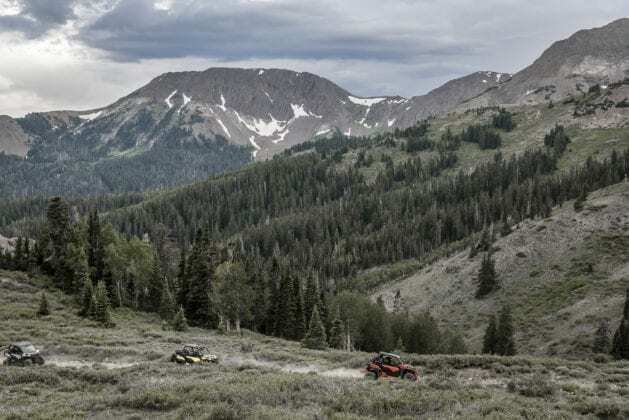 Recreational sport side-by-side enthusiasts’ reasons for riding may vary and change with each new adventure, but their vehicle shouldn’t have to. The versatile and talented Can-Am Maverick Trail family of off-road vehicles help all OHV advocates escape into the natural environment and do so with unmatched comfort, trail versatility, outstanding performance and exceptional control. Whether it’s a solo journey to a favorite trailhead or a group backcountry camping excursion, we understand that the vehicle taking you to your ultimate destination should be extraordinary at helping you capture another great memory. Enter the Maverick Trail: Agile. Adventurous. Confident.